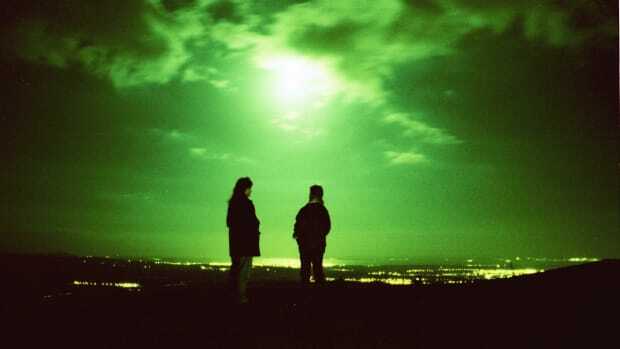 Two Pilots Saw a UFO. Why Did the Air Force Destroy the Report? 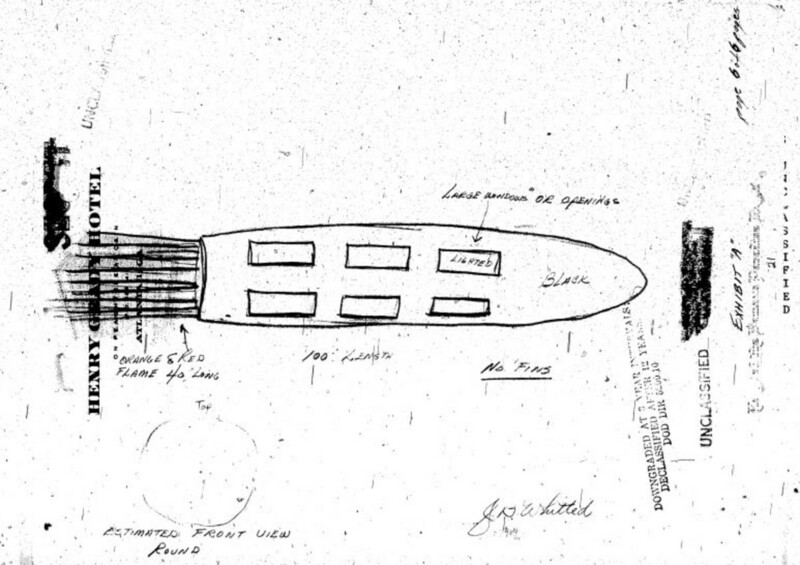 Some believed the July 1948 sighting revealed the presence of secret Soviet spy craft in American airspace. Whatever occurred at 2:45 a.m. on the morning of July 24, 1948 in the skies over southwest Alabama not only shocked and stymied the witnesses. It jolted the U.S. government into a top-secret investigation—the results of which were ultimately destroyed. The skies were mostly clear and the moon was bright in the pre-dawn hours as pilot Clarence S. Chiles and co-pilot John B. Whitted flew their Eastern Air Lines DC-3, a twin-engine propeller plane, at 5,000 feet, en route from Houston to Atlanta. The aircraft had 20 passengers on board, 19 of them asleep at that hour. It was a routine domestic flight, one of many in the skies that early morning. Until suddenly, it wasn’t. 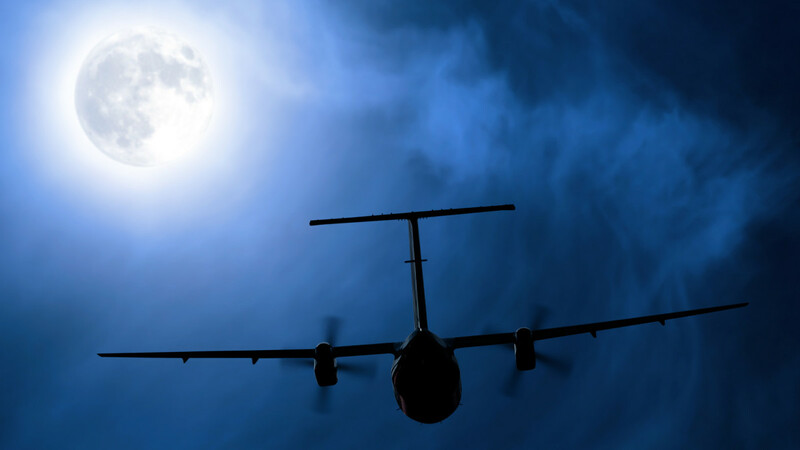 What the two pilots and their wide-awake passenger saw in the skies about 20 miles southwest of Montgomery, Alabama, did more than startle them. 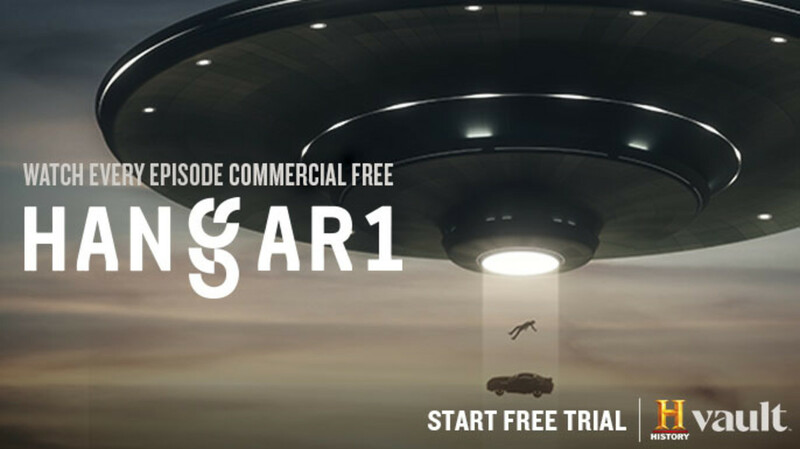 It would reportedly become the catalyst for a highly classified Air Force document suggesting that some unidentified flying objects were spaceships from other worlds—a tipping point in UFO history. Chiles described what he saw in an official statement about a week later: “It was clear there were no wings present, that it was powered by some jet or other type of power, shooting flame from the rear some 50 feet. There were two rows of windows, which indicated an upper and lower deck, [and] from inside these windows a very bright light was glowing. Underneath the ship there was a blue glow of light.” He estimated that he’d watched the ship for about 10 seconds before it disappeared into some light clouds and was lost from view. The passenger who was awake at the time, Clarence L. McKelvie of Columbus, Ohio, corroborated the pilots’ account that an unusually bright object had streaked past his window, but he wasn’t able to describe it beyond that. Chiles&apos; interpretation of what he saw on the night of July 24, 1948. Chiles and Whitted weren’t the only ones baffled by what they’d seen. Whatever Chiles and Whitted witnessed, theirs was far from an isolated incident. 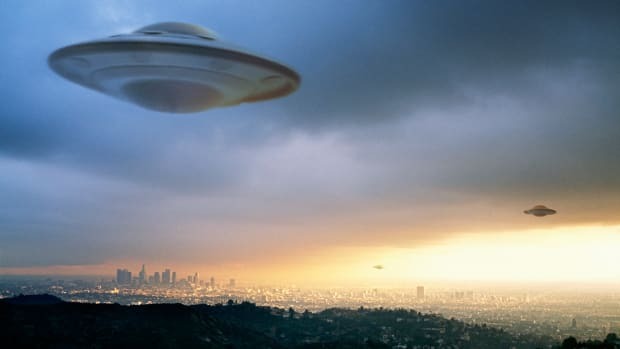 There had been scores of reported UFO sightings in the years just previous. But Air Force investigators took this one more seriously than most. 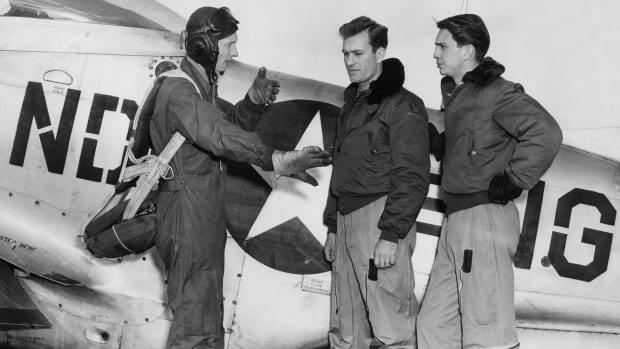 For one thing, both men were highly regarded pilots who had served as Air Force officers during World War II. (McKelvie was also a solid citizen and an Air Force veteran, as well.) For another, the pilots had gotten what seemed to be an unusually close look at the strange object they described. Whitted&apos;s interpretation of what he saw on the night of July 24, 1948. One reason for Vandenberg’s skepticism, apparently, was that another faction within the Air Force had a competing theory: UFOs weren’t interplanetary at all, but the handiwork of America’s Cold War nemesis, the Soviet Union. In another top-secret report dated December 1948, the Air Force suggested a variety of reasons the Soviets might be behind such a scheme, including photographic reconnaissance, testing U.S. air defenses and undermining U.S. and European ally confidence in the atom bomb as the ultimate weapon. The Soviets wouldn’t have their own atom bomb until late August 1949. Adding to the mystery: The sighting occurred outside Montgomery, downstate from the Marshall Space Flight Center in Huntsville where a collection of rocket scientists—many former Nazis quietly spirited to the U.S. to help win the Cold War space race—were working on top-secret rocketry experiments under the guidance of brilliant and visionary rocket designer Wernher van Braun. Could the sighting have somehow been related to their experiments? “The insistence on official secrecy and frequent ‘classification’ of documents was hardly needed since the Pentagon had declared that the problem really didn’t exist,” Hynek wrote. Ruppelt maintained that bureaucratic bungling rather than deliberate deception was the Air Force’s main problem. “But had the Air Force tried to throw up a screen of confusion, they couldn’t have done a better job,” he added. 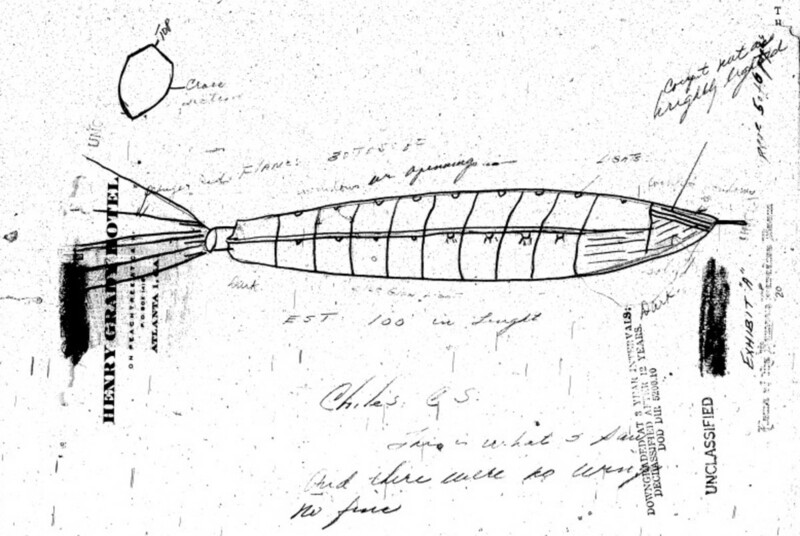 In part because of this lack of transparency, the Chiles-Whitted incident remains one of the most controversial UFO sightings—and a favorite of conspiracy theorists even now. So, what did Chiles and Whitted actually see? Some suggested a weather balloon, others a mirage. 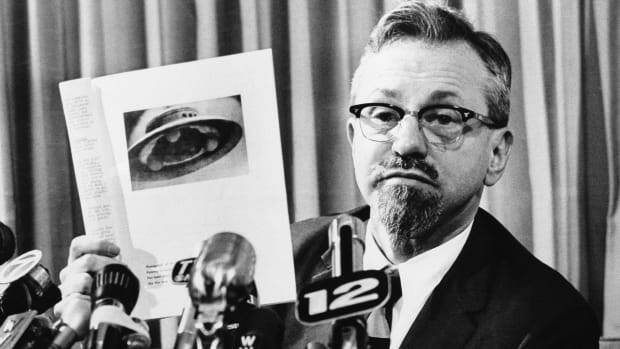 Hynek believed it was a fireball, or very bright meteor, an opinion that eventually became the official Air Force verdict. As to the lighted windows both pilots claim to have seen, some experts suggest that might have been a phenomenon called the “airship effect,” where observers who see a group of unrelated lights in the sky are fooled into thinking they’re part of the same object. But Chiles and Whitted stuck to their story. James E. McDonald, a University of Arizona physicist and UFO expert, said he interviewed them in 1968, some 20 years after the event. The two were now jet pilots for Eastern Air Lines, and they continued to believe that what they had seen was some sort of airborne vehicle, McDonald reported. What’s more, Whitted added a new and puzzling detail to the story. Although reports at the time said the object had disappeared into the clouds or simply out of their view, he supposedly told McDonald that wasn’t what really happened. Instead, the object had vanished instantaneously, right before their eyes. 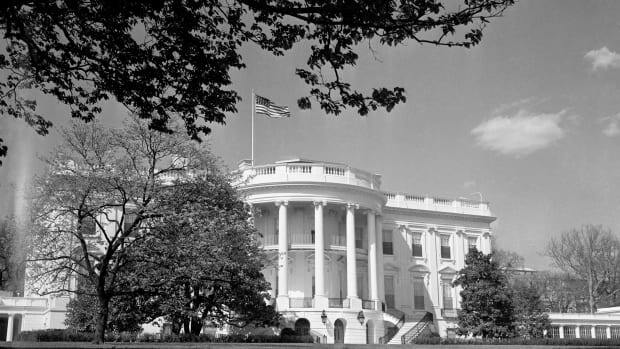 No wonder the Chiles-Whitted case continues to baffle and intrigue, even 70 years later.